I'm new here so I decided to do this review to act as an introduction of myself on this forum. Anyway, this all started practically a year and a half ago when I suddenly went from doing no road trips (paying on student loans didn't leave much in the bank), to two in one year. In preparation of the road trip to Florida, I went to K-mart, and bought one of the nicer models than they had in the bins at the front (the $5 specials that may or may not burn up your devices), which was a Duracell brand, figured it would work good since Duracell makes good batteries. I found out the fallacy of that logic about 6 hours in on a road trip of 23 hours. This thing couldn't charge my phone at all, even with the screen off. I had to do it, stop at a Dollar General and get one of the bin specials, which could at least charge my phone slowly with the screen off. Terrible, terrible quality those things are. When we were down at Florida, the only thing in that area was a Harbor Freight which only sold the bin specials too, except for inverters that happened to also have a USB port. I got one of those. That didn't work, same result with USB port, slow charging with screen off and using the 120v outlet to power the wall wart for my Moto G4 caused its touch screen to spaz. On the way up, I was able to hit up a Verizon store to pick up a one port Ventev charger for $40. Which worked but didn't charge very fast, maybe at a constant 0.8A if I were to guess. Now for the second road trip. This wasn't a constant drive for multiple days, but a campsite stay at a park with no electric in the heart of the Adirondacks. I was a bit smarter this time around, did some online research prior with ample time to order something. I came across this brand called Anker, never heard or seen of them prior. After analyzing reviews and perceived component quality I decided to give them a try. I originally wanted a 4 port but those were sold out. So I ordered the 2 port 24W Powerdrive 2. Its trial was charging my phone on a 35ish mile trip to run errands. I didn't need GPS but I ran it anyway just to test this charger. Keep in mind, this wasn't stop and go traffic either. Open roads going 55 mph with two 45 mph sections and one stop light. For that little trip, I was amazed to look at my phone after it and noted that it went from 51% to 67% in that little time. With location services and the screen on the entire time. A vast, vast improvement to what I have tried prior. During the camping trip it worked flawlessly charging 3 iPhones and my Moto G4 a couple of times quick enough to not waste too much gas idling the engine. This positive experience with Anker lead me to buying a 5 port desk charger, a pack of Micro-USB cables, and a larger power bank (can't remember the exact model). I haven't been disappointed yet with Anker. The power bank worked great for another away-from-grid camping trip in October, lasting me two overnight charges with three lights left. 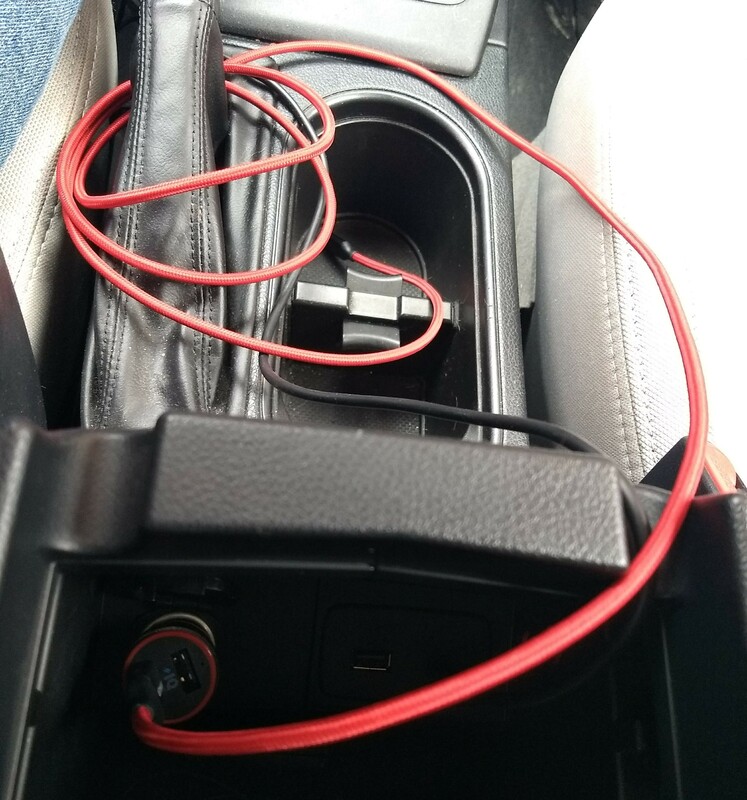 As for the car charger, I pretty much keep it plugged in at all times, and leave a USB slot open for passengers with other kinds of phones. I very recently used it for a trip up to Rochester, and like always it performed flawlessly. For the price you can't beat the PowerCore 2. I have paid more to get worse results from other brands. Welcome to the community, we are glad you found Anker and decided to join us here to share your story. I think we all at some point or another are happy we found a company that not only builds great products, but also stands behind them. Great story and even better ending. I’ve got the same in car charger. Well I’ve got 2 and a PowerDrive II Elite they are all brilliant as well as all of their other products. Stick around in here as there are always offers and competitions to increase your Anker stock and amaze family and friends with Anker products. Welcome to the forum, I look forward to more of your well written stories. Thanks everyone! Because I do some computer consulting off to the side, I occasionally get asked by folks what are good universal USB chargers. After my all positive Anker experiences, I always tell people to check them out. I'm really thinking about ordering a few different Anker products to keep on hand to sell to someone as no stores near us sell them except for Walmarts that are 30 miles away in each direction. Awesome story and welcome to the Anker community. Thanks for sharing your story and welcome to the Anker family, @Dilan_Gilluly!